Bawdsey Manor is located in Woodbridge, England. 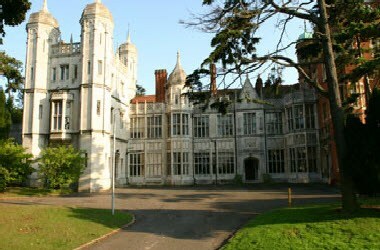 The Manor provides facilities for courses and conferences. Adult groups are welcome here and young people, too. 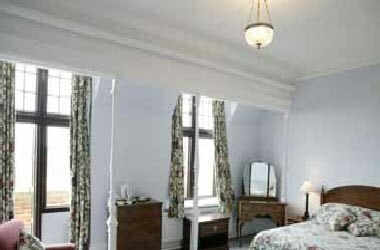 The Manor can accommodate up to 50 people and there are student residences on the estate for larger groups. 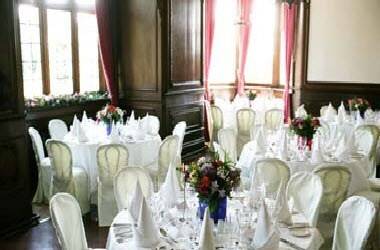 The Wedding Suite includes The Great Hall, the Green Room, the Dining Room and an exclusive changing room for the use of the bride and groom on the day. You may hire our lovely reception rooms for private celebrations of your own. The Great Hall, Green Room and Manor Dining Room together can easily seat up to 120 guests for a formal meal. For a more intimate setting, choose the Green Room where the oval dining table can seat 15 or 16 people. The Bawdsey Manor Estate provides an extraordinary venue for your conference or corporate event.